Now that the school year has ended, it’s time to get ready and excited for summer camp! Many camps provide children with great opportunities to learn about new things or participate in activities that don’t fit into the traditional school day. However, we at the Free Library believe that children should still be practicing and improving their literacy skills in the summertime. This not only keeps up the hard work children are doing in school during the year, but also prevents "summer slide." To help with embedding literacy into summer programs – art camps, basketball camps, bible camps, and everything in between – we’ve partnered with Read by 4th and the Philadelphia Out-of-School Time Literacy Initiative to develop helpful, free literacy resources. For the past few years, Read by 4th has been inviting camps to become Read & Rise partners for the summer; these four- to six-week camps have received valuable materials and services, including ideas to incorporate one hour of reading-related activities into their schedules and coaching from Read by 4th staff. This year, we are excited to provide resources to camps that are shorter than the Read & Rise length, even for those that are just one-week long. 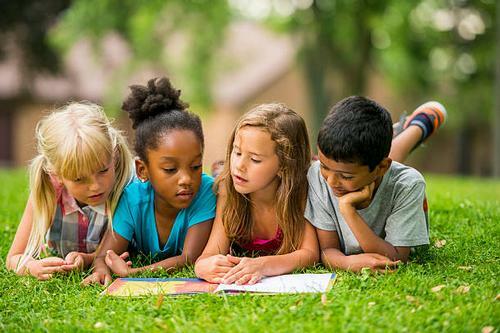 Take a look at the following link for ideas on how to work literacy into any type of camp: http://zoobean.squarespace.com/kits/2017/6/16/how-to-embed-literacy-into-your-summer-camp. If you work at a camp or other summer program, we invite you to browse our resources for free guidance on literacy infusion. And if you are a parent of a child attending a camp, please notify the camp counselors and directors about these useful resources. The summer is a great time to keep learning, but children frequently lose two to three months of reading skills in this time off from school. Help us prevent "summer slide" from happening by embedding these activities into your children’s daily activities! Help prevent "summer slide" by embedding these activities into your children’s daily activities!